Liverpool Beatles Auction: Gerry and the Ferry. Gerry and the Pacemakers were the first group to have their first three singles go to number one in the charts. Before all that they, like so many others, played the clubs and dance hall circuit. 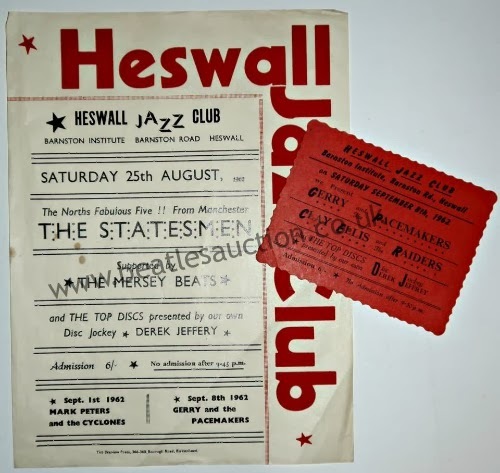 The handbills and tickets below are up for sale in our Annual Liverpool Beatles Auction in August. 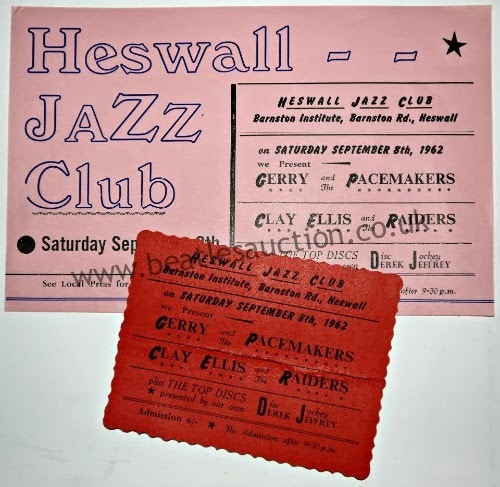 Handbill and ticket - estimate £60-£70. 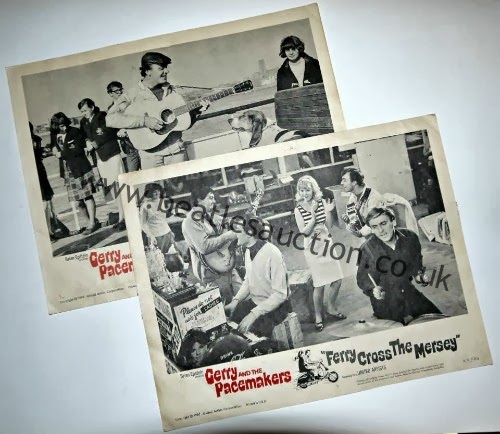 Gerry made a film in the 60s called Ferry 'Cross The Mersey (written by Tony Warren who created Coronation Street) A set of eight lobby cards are going into the auction too.